This is a medical condition that causes excessive sweating. Sweating cools the body, which prevents us from overheating. People who have hyperhidrosis, however, sweat when the body does not need cooling. Many medical conditions can cause excessive sweating. These include diabetes and gout. A tumour or injury also can cause excessive sweating. Women often sweat excessively when they get hot flashes during menopause. People of all races get hyperhidrosis. The excessive sweating can begin at any age. The mechanism of sweating is not fully understood. Certain nerves tell the body when to sweat. It is possible that these nerves overreact, causing excessive sweating. To treat excessive sweating, a patient will need to have very tiny amounts of Botox ® injected in many areas of the underarms. When performed properly, patients have little pain or discomfort. The U.S. Food and Drug Administration (FDA) has approved this treatment for the underarms. The injections temporary block a chemical in the body that stimulates the sweat glands. Most patients notice results 4 to 5 days after receiving treatment. If you are seeking an effective way to reduce hyperhidrosis, then Botox® is the ideal treatment for you. 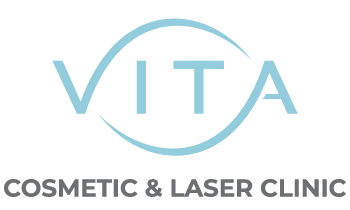 Vita Cosmetic & Laser Clinic offers hyperhidrosis for excessive sweating. Contact us us at 416-639-1882 to schedule a free consultation.